Singapore may be the first nation to release driverless vehicles. Driverless cars are all the rage now, as seven major companies claim to market them by 2020. The American National League of Cities estimates these cars will be routine by 2030. NuTonomy, a driverless car startup, passed its first obstacle test last week. It intends to debut a pilot study for driverless taxi cabs in Singapore, beating competitors with a public testing date before this year ends. In a few years, they aim to have thousands of driverless taxis throughout Singapore. The company began three years ago at Massachusetts Institute of Technology and raised $3.6 million in funding since January. NuTonomy provides a fully autonomous taxi service that lets users order cars via smartphone just as they would with Uber. The cars are also electric which helps reduce greenhouse gas emission. In the race to be the first to release driverless technology, Singapore has special leverage due to government compliance. The government invested millions towards automated vehicles, and though Singapore is known for having strict regulations, it is also a small Island where approved legislation can be quickly implemented. 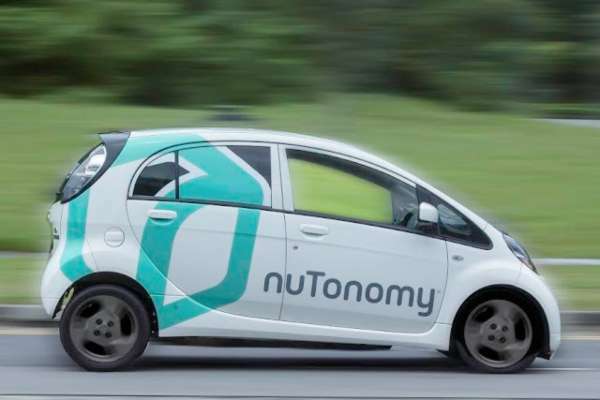 While nuTonomy’s taxis could be tested by the public before the year ends, Singapore’s government will institute driverless minibuses within the next one to two years according to Singapore Smart Nation Minister Vivian Balakrishnan. The minibuses will take commuters from the doorstep of their home to the train station or bus interchange, making them both a cost-efficient alternative as well as a space-saving, energy-conserving, time-saving, and traffic reductive model.